Sally White was not an internet person. She much preferred interacting with people, face to face. But when the longtime, much-loved owner of Sally’s Place — and before that, manager of Klein’s record department, and Melody House worker — died of cancer yesterday at 88, every online platform was filled with memories. Generations of Fairfield County men and women (and teenagers) were Sally’s customers — and friends. She influenced literally tens of thousands of us. 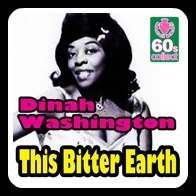 She opened our ears — and our minds and souls — to all kinds of music. And she opened her heart to us. Everyone has a Sally White story. Here are 2 of my favorites. The first is from Drew McKeon. A Staples High School class of 2000 graduate, he’s spent the past several years touring the world with fellow Westporter Michael Bolton. Sally is a big reason why. So sad to say goodbye to my old friend, Sally White. I’ll never forget the hours spent sitting one on one, listening to her stories of seeing the greats live (Sinatra, Hendrix, Duke Ellington, Count Basie, Coltrane, Dylan, Buddy Rich, Miles), and how much our town had changed since she came to Main Street in 1954. She sold me the first jazz albums I ever bought (“Kind of Blue”, “Speak No Evil,” “The Real McCoy,” Jarrett Trio “Live at the Blue Note”), and shook her head every time I came in for the latest Zorn Tzadik release. I bought my first copy of “Purple Rain” there, and Tom Waits’ “Mule Variations,” and “Bright Size Life,” as well as every album Bill Frisell, Alison Krauss and Belá Fleck released from 1995-2014. I got Nirvana “Unplugged” there too. She told me the same story about the guy offering to buy her Sinatra poster for $1000 (even though she had 2!) every time I came in, and regaled me with childhood tales about a shy and gentle Horace Silver. She felt so guilty about declining invites to my high school shows that she gave me a gig playing standards with a quartet outside the shop during the Memorial Day parade. Sally doing what she loves most: interacting with one customer. Another browses behind her. She sold me “Innervisions” and Maceo’s “Life on Planet Groove” and “Babylon By Bus,” and gave me “Appalachia Waltz” for my 15th birthday. She stuffed 2 copies of Downbeat in my bag with every purchase, and tuned in to every episode of the WWPT radio show I hosted with Ted Thompson. My obsessive love for Joni and Edgar Meyer was born and fostered at 190 Main Street. Perhaps more than anything, I’ll always remember skimming through her prized postcard collection from the great Adam Nussbaum. He, years prior, was one of “Sally’s Kids” too. 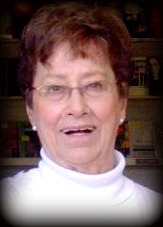 I hope Blue Eyes is singing one for my gal Sal tonight! And this, from Jim Motavalli. He graduated from Staples in 1970 — 30 years before Drew McKeon — but he too will remember Sally White forever. With 2partners, I started a record store in Fairfield, circa 1975. It was called Trident, because there were 3 partners — one of whom was my twin brother. The 2 of us had just graduated from the University of Connecticut, where we took not one business course. We had a plan — we would pioneer the sale of used records in Connecticut — but beyond that we didn’t have a clue how to set up and stock a store. Fortunately, we had a friend, Sally White, then running the record haven at the downtown Westport department store Klein’s. Far from stocking just the hits, Sally made sure that the store was bulging with jazz — including albums from players who lived in the area: Dave Brubeck, Gerry Mulligan (and, later, McCoy Tyner and Max Roach). We called her, and she came over to talk business. Despite the fact we were planning to compete with her, Sally held forth all evening on all aspects of dealing with suppliers, getting credit, buying a cash register, handling returns, and was endlessly helpful. I was thought of this episode on learning that Sally White died this week. She had closed her store, Sally’s Place (which succeeded her long stint at Klein’s) in 2013 — a victim of the digital revolution. 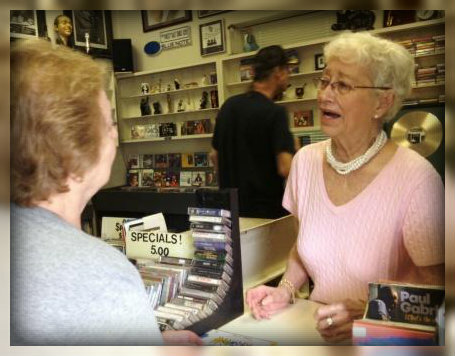 I’m sure not being able to greet her many friends took something out of her — she’d sold records for 57 years! Goodbye Sam Goody’s, Goodbye Tower Records. It’s not likely I’ll mourn the passing of these corporate superstores. But I will shed a tear not so much for Sally’s Place, but for Sally herself. A real mensch. Sally White — who influenced, inspired, amazed and befriended generations of local musicians, music lovers and music wannabes — died this morning at Autumn Lake Healthcare in Norwalk. 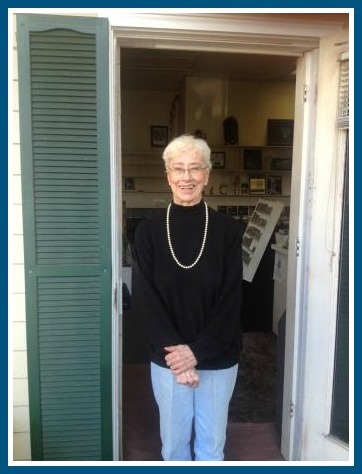 For 57 years — first at Melody House on Main Street; then running the music department at Klein’s, a few doors away, and finally as the owner of Sally’s Place — she was one of Westport’s most beloved figures. In July of 2013, I posted the story below. It drew 57 glowing comments. Her passing will elicit many more. There is no word yet on services. Whenever and wherever Sally White is laid to rest, I’m sure there will be plenty of great music. 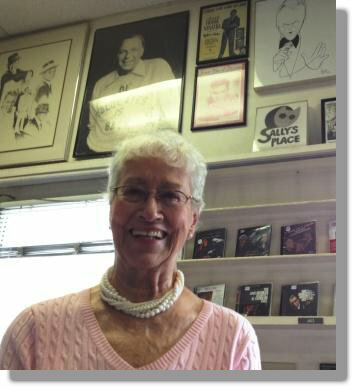 Sally White has been selling music on Main Street since 1956. Sometime this summer, her song will finally end. The beloved owner of Sally’s Place — the record/CD store where Keith Richards and Mary Travers shopped (and schmoozed) with Sally, and any other music lovers who wandered up the steps at 190 Main Street — is closing down. She’s not sure when (probably later this summer). And she has no idea what she’ll do with the hundreds of posters, autographed photos and musical tchotchkes that line the way (maybe sell them?). She does know, though, that she’ll leave a business she’s loved from her 1st day at Melody House, a few doors away, 57 years ago. She also knows why she’s closing. The internet dragged too many customers away. The stagnant economy dragged business down further. 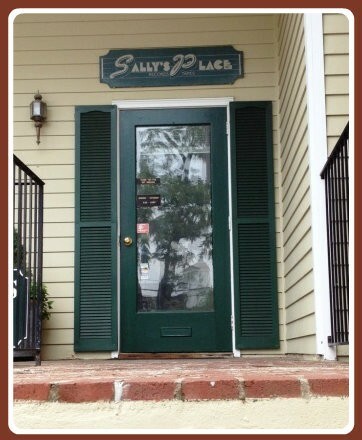 Sally’s Place has a niche in Westport that will never be replaced. I walked in this afternoon at the same time as another customer. She wanted a vinyl copy of “Rubber Soul.” Sally promised it would be in by Saturday. When Melody House closed in the late ’50s, Stanley Klein offered her a job in his department store’s record section. Raising 2 sons alone, she said she could work only 10 a.m. to 3 p.m. She also told him how much she needed to be paid. He hired her on the spot. She worked there for more than 20 years. Her gentle nature, loving presence and encyclopedic knowledge of music influenced generations of Westporters — myself included. Sally’s Place is at 190 Main Street — on the right, just past Avery Place. 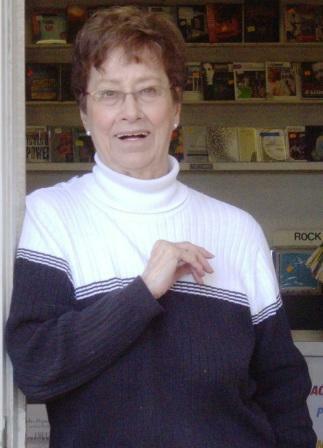 When Klein’s record department closed in 1985, she decided to open her own store. Her brother-in-law wrote a business plan. She showed it to the president of Westport Bank & Trust. He gave it right back. “We don’t need it,” he said. He trusted her word. She offered her house as collateral. He refused. He was happy to back Sally’s Place without it. Sally’s musical roots run deep. She’s seen Frank Sinatra on stage. Also Count Basie, Duke Ellington, Tommy Dorsey, Glenn Miller, Benny Goodman and Artie Shaw. Brubeck and Gerry Mulligan were close friends. So are many customers who never played a note. All are bound by a love of music — and the treasure that is Sally. Sally doing what she loves: interacting with a customer. Another browses in back. She’s survived as long as she has on special orders. Bluegrass compilations, rap, the “Roar of the Greasepaint” soundtrack — all are hand-written, in old-school logbooks. People find her from around the country. She does not charge for mailing. “It’s my way of saying thanks,” she says. As if on cue, a customer requested “old Polish-American polka music” for a wedding. She mentioned a composer. “S-t-u-r-r,” Sally spelled. “Right!” the woman said. 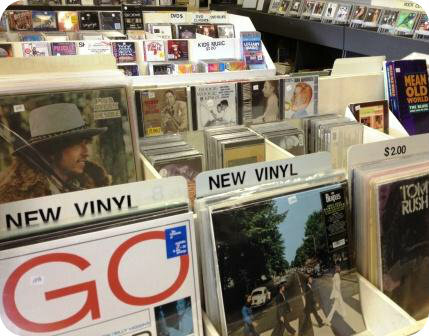 There is plenty of new vinyl — and CDs, random stuff, and musical knowledge — at Sally’s Place. She does not stock Lady Gaga. “You can get that at Walmart for 10 bucks,” she says. After 27 years of business I have decided to retire. The economy and internet sales have made it impossible for me to continue. I thank you for your support, and hope you wish me well in retirement. I’ll miss you. But we need to say “thank you” to Sally White. Please hit “Comments” to share your memories, or offer praise. And then — whether you’re a longtime admirer, a former customer who faded away, or someone who always meant to stop by but never did — go see Sally. She’ll be glad to see you. And her broad, loving smile will make your day. Back to the Basics: A Portrait of Sally White from Claire Bangser. 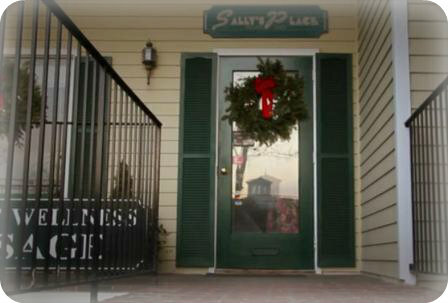 Reports that Sally White would closer her beloved Sally’s Place record store this Sunday were inaccurate. She’ll be open at least a week more. Maybe 2. So there’s still time to buy some of her great music stock. Or a tschotske off her wall. Everyone loves Sally White. But I’ve loved her longer than most. Sally is the long-time and very legendary owner of Sally’s Place, the closet-sized, jam-packed, homey and way cool record store, located on the 2nd floor of a little shopping center at the un-chain, non-women’s-clothing-boutique end of Main Street. I first met Sally when she managed Klein’s record department. (Newcomers: Klein’s was a department store at the site of the current Banana Republic.) Long before it folded, Klein’s torpedoed its record department. Sally was sent packing, but instead of wallowing in bitterness she took Klein’s lemons, and made Sally’s Place lemonade. Sally came late to jazz, but she took to it with almost religious zeal. Her shop — not easy to find, but unforgettable once you found it — became a mecca for jazz aficionados throughout the Northeast. She’s also a blues expert, and more than once I’ve seen her deep in discussion with Keith Richards about obscure bluesmen. Most times he listens. She talks. Sally’s encyclopedic knowledge includes show tunes, easy listening and ’60s rock. She remembers nearly every customer, and quickly learns their favorites — but is never shy about suggesting an artist or even genre outside their comfort zone. In a store crammed with CDs and vinyl, she knows exactly where to find whatever you want to buy — or she wants you to try. Now a confession: I have not been inside Sally’s wonderful Place in years. Like too many folks, my music collections consists entirely of bits and bytes. I have thousands of songs on iTunes. I listen to Pandora on my computer and iPhone. My enormous CD collection is collecting dust, and I took my turntable to the dump back in the Reagan administration. I know, though, that if I walked up those steps to Sally’s Place — and, thanks to writing this post, I realize I probably should — she will greet me not with a quizzical look, or as a long-lost customer. She will smile broadly, hug me, call me “Danny,” and point me in the direction of music only she knows I’ve missed, but will love.